TUCSON, Ariz.— President Trump is expected to announce today that his administration will pursue a wall along the U.S.-Mexico border, a project that would perpetuate human suffering, harm border communities and halt the cross-border movement of jaguars, ocelots, wolves and other wildlife. Among animals, the wall would be particularly harmful to highly endangered jaguars. 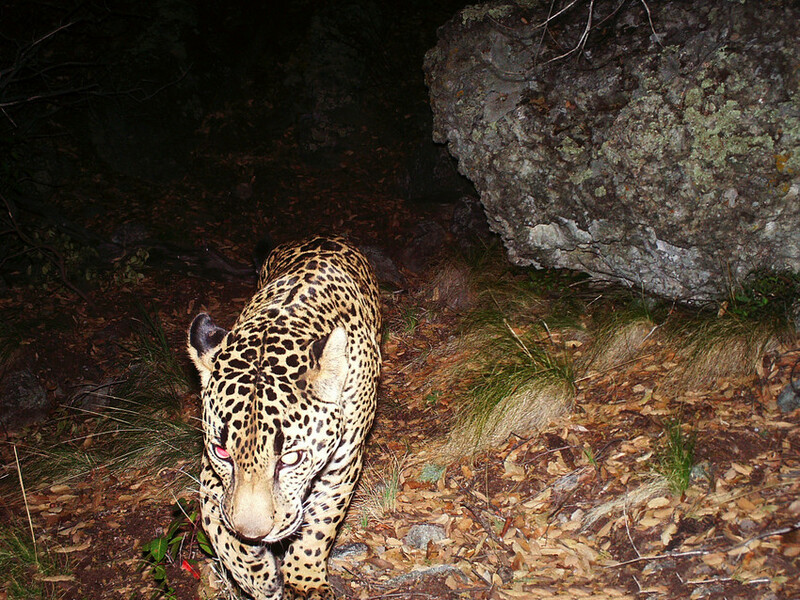 Two jaguars have been photographed north of the border in recent years, but the U.S. population will never reestablish if migration from the small population in northern Mexico is blocked. Jaguar photo by Conservation CATalyst and the Center for Biological Diversity. This image is available for media use. Video of this jaguar in Arizona is available for media to embed from our Facebook page or by download.